The unwarranted use of force in the arrest of a person of color is again making headlines. This incident involves white police officers in suburban Mobile, AL taking a female Waffle House patron violently to the ground for a verbal dispute that was initiated over a nominal charge for plastic silverware. Things had appeared as if they would result in nothing more than the patron posting a poor Yelp review, that is until an officer in the establishment claimed to hear a curse word and proceeded to arrest the patron. She was violently taken to the ground and one officer was caught on video threatening to break her arm, a second officer took aim and pointed his Taser at her head. The local community has rallied around the victim. 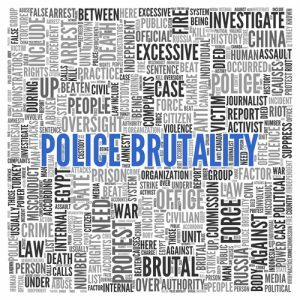 For those who have been hurt by the actions of the police, the police brutality attorneys from Action Legal Group can help pursue a claim to recover damages. Injured by the Police? We fight for victims of police brutality. Let our legal team fight for you and your family. This website is purely a public resource of general information. Although it is not intended to be a source of either solicitation or legal advice, it must be regarded as an advertising or promotional communication in the terms of the lawyers’ professional responsibility law. Accordingly, it is necessary that certain information be supplied to and noted by the reader. This website should not be considered as an offer to represent in any legal matter, nor should it be the basis of legal hiring decisions. Thus, the reader should not consider this information to be an invitation for an attorney-client relationship, should not rely on information provided herein, and should always seek advice of competent counsel. All lawsuits are different, and Romanucci & Blandin makes no representation or promises that it can obtain the same results as reported in other legal matters. Nothing on this website constitutes a guarantee, warranty or prediction regarding the outcome of any future legal matter. Further, it should be noted that even where the fee arrangements are on a contingency basis, clients will still be responsible for payment or reimbursement of the costs and expenses of litigation. Romanucci & Blandin is licensed to practice only in Illinois and works with counsel in local jurisdictions as required. Romanucci & Blandin has made a good faith effort to comply with all laws and ethical rules of every state in which this website may be viewed.. In the event, however, that it is found not to comply with the requirements of any state, Romanucci & Blandin disclaims any wish to represent anyone desiring representation based upon viewing this website in such state. I agree that the information I am submitting is not confidential and does not contain time-sensitive information. I understand that by submitting this information to The Action Legal Group, I am not entering into an attorney-client relationship with the firm.